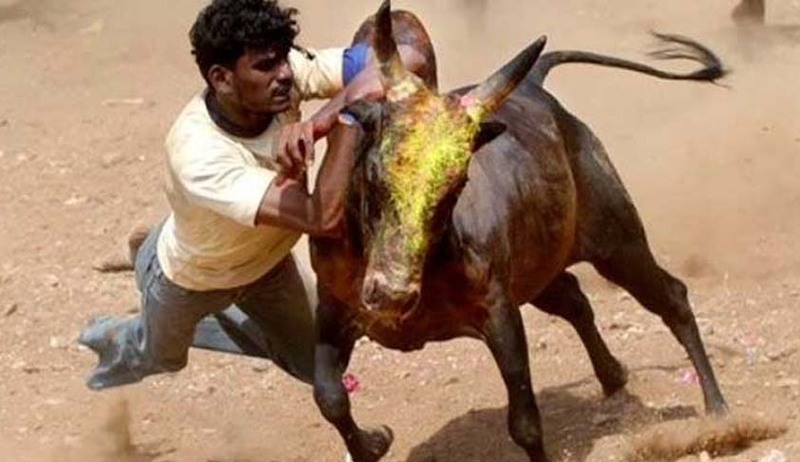 The Centre today filed a petition informing the Supreme Court that it has withdrawn its 2016 notification allowing Jallikattu in Tamil Nadu in view of the fresh legislation passed by the state assembly on the issue. A bench headed by justice Dipak Misra then said that all the petitions filed in support of the bull sport and against it will be heard on January 31. Earlier the court had fixed the hearing for January 30. The court has already reserved its verdict on a batch of petitions challenging the 2016 notification. The Tamil Nadu Legislative Assembly has passed the Jallikattu Bill, 2017. Tamil Nadu Governor C Vidyasagar Rao has forwarded the Bill to President Pranab Mukherjee who gave his assent. Two days ago, the Animal Husbandry, Dairying and Fisheries Department of Tamil Nadu Government had framed Tamil Nadu Prevention of Cruelty to Animals (Conduct of Jallikattu) Rules, 2017. The bench took into account the Centre's submission that they were in talks with Tamil Nadu to find a way out in the matter. Thousands of students gathered on the sands of Marina Beach in Chennai as protests demanding lifting of the ban on bull-taming sport 'jallikattu' snowballed across Tamil Nadu. Faced with mounting anger on the streets, the top brass of the state government got into a huddle as Chief Minister O Panneerselvam decided met Prime Minister Narendra Modi seeking an ordinance for conduct of the age-old sport. He was accompanied by 51 MPs of AIADMK. He appealed to the students to give up their protests even as IT sector employees and several more actors joined the chorus for allowing 'jallikattu'.